Hasbro’s new doll based on the first Latina Disney princess is making its official debut at the annual New York Toy Fair. Princess Elena of Avalor, the star of the upcoming Disney Junior series of the same name, hails from an enchanted fairytale kingdom that is inspired by diverse Latin cultures and folklore. 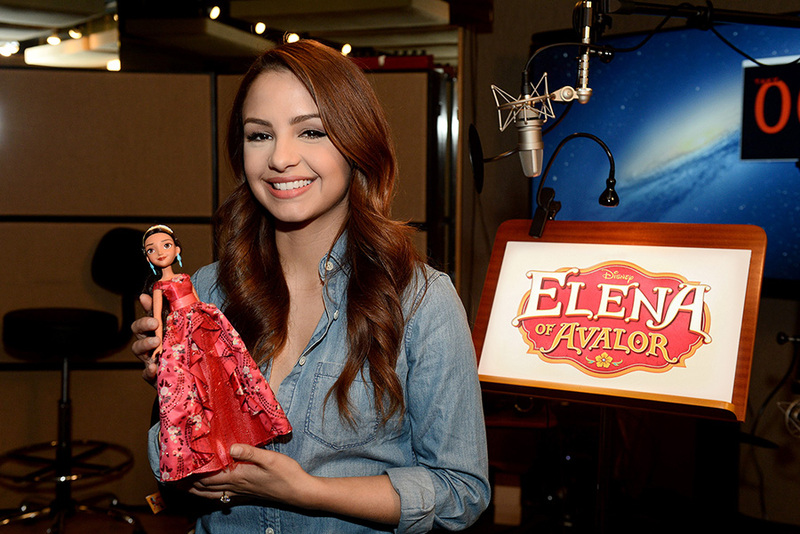 Voiced by Aimee Carrero (pictured above), the bold, caring, funny and clever Elena will be introduced in a special episode of Disney Junior’s hit series “Sofia the First” where Princess Sofia will help her escape from an enchanted amulet and return to her kingdom. The new Princess Elena of Avalor doll can be seen at the Jacob Javitz Center in New York City beginning Friday, February 12. The New York Toy Fair will be running until Tuesday, February 16. Further information on the upcoming Disney Junior series is available in the May 2015 issue of OutlooK-12 magazine.